Is there any paperwork or document for the mechanical systems of 117 Admiral Rd, Ajax, Ontario? I need more information about the property at 117 Admiral Rd, Ajax, Ontario. How ist the neighborhood, location and nearby amenities for 117 Admiral Rd, Ajax, Ontario? I have questions about the roof, foundation, insulations and mechanical issues of 117 Admiral Rd, Ajax, Ontario? I need more information about property details. What's wrong with this house? Is this a short sale? Is there any maintenance for 117 Admiral Rd, Ajax, Ontario? What is this property worth in today's market? What are "closing costs", and how much? What steps should I take when looking for a home loan? What price home can I afford? Is my credit good enough to buy this house? What are the best mortgage options for me? How flexible is the seller on the asking price? How low can I consider offering for 117 Admiral Rd, Ajax, Ontario? 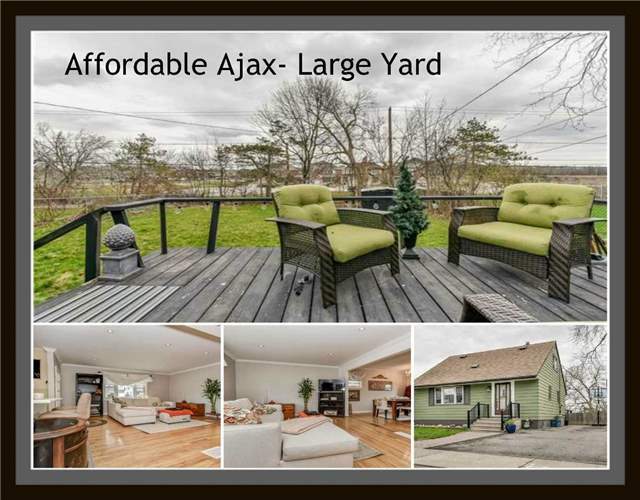 Charming Detached W/ Character In Southeast Ajax Great Value For 1st Time Homebuyers! Home Boasts Original Hardwood Floors On Main & Upper Levels. Features Open Concept Layout On Main Level W/Option For D/R To Be Potential 3rd Br. Master Has 2Pc Bath. Back Entrance Walks Out Onto Large Deck And Patio Area With Sprawling Fenced Treed Private Premium Lot W/Shed. Steps To Plazas, Pet-Friendly Parks, Schools, Library, Churches. Close To Hospital, Lake, Hwys & Go. All Electric Light Fixtures, Fridge, Stove, Washer And Dryer (All Appliances "As Is"). Excludes: Window Coverings And Rods. (Hwt Rental At $26.02+Hst).